After releasing their self-titled album to much acclaim, rising high in the indie ranks over the last year and playing the Coachella Valley Music and Arts Festival just last month, Sylvan Esso will return soon with a new collection of remixes of the album cut "H.S.K.T.," which singer Amelia Meath recently revealed was inspired by Miley Cyrus. The remix collection will feature five versions of the song, with an addition four versions will be included as a download. The tracks include remixes by Hercules and Love Affair and Dntel. Check out the Hercules and Love Affair Boom Mix, one of the bonus tracks below. The collection will be released digitally next week, on May 12, and will then be released on 12" vinyl on August 21. 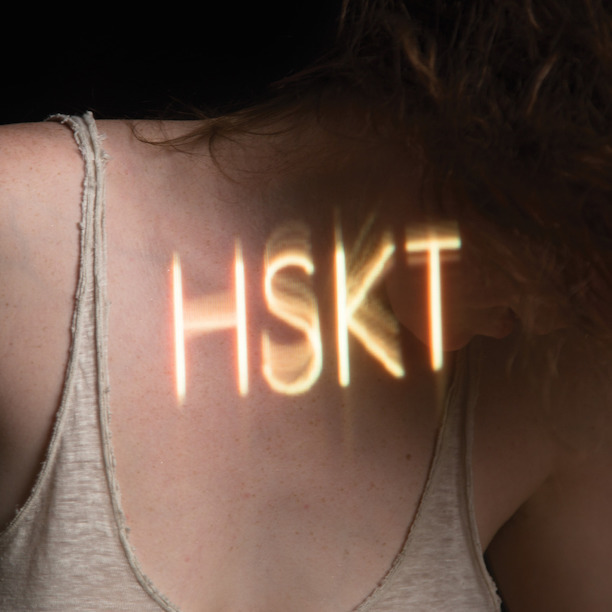 The duo has released a new lyric video for "H.S.K.T," that you can check out below, as well as an interactive website for the song which allows you to sort of create your own mix.